I'm hungry. How can QI help me get a pizza for my dinner? 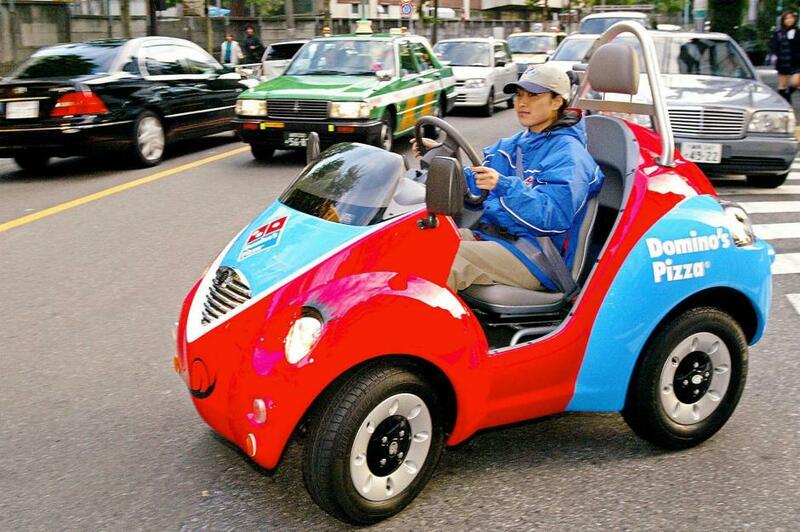 A Domino Pizza shop employee drives a one-seater electric vehicle named "Qi", produced by Japanese toy maker Takara, to deliver pizzas to a customer in Tokyo, 14 November 2003. The compact electric vehicle Qi enables a user to drive 60km at a maximum speed of 50kph on a 45 minute charge. There's what looks like a dead dog lying behind the driver in the top picture. Do they serve roadkill? 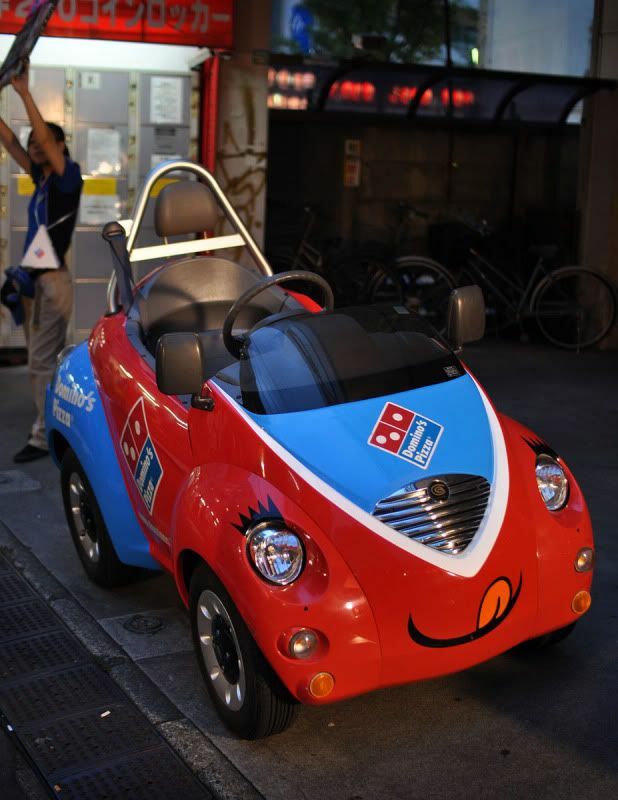 Pizza delivery was introduced to Japan in 1985 when Domino's Japan opened for business. Food delivery was already popular by that time. In the 1950s, men delivered soba noodles on bicycles. They would stack trays of noodles on top of each other and carry the tower on their shoulders, while riding a bicycle. The tower might be taller than the rider and it doesn't seem to be fastened or secured at all. Mayonnaise on pizza seems to be a popular in Japan. Do you recon that they would put mayonnaise on the most expensive pizza? (commercially available) according to Guinness. The most expensive pizza commercially available costs £2,106.53 ($2,700), and is sold at Industry Kitchen (USA) in New York, New York, USA, as of 24 April 2017. The truffle is made of black squid ink dough, and is topped with white Stilton cheese from the UK, foie gras and truffles from France, Ossetra caviar from the Caspian Sea, Almas caviar, and 24K gold leaves. Pizza is derived from the Roman flat bread called Plancenta. Coincidence! I was about to post that myself after I heard it on a recent episode of The Unbelievable Truth this morning. I'm not seeing that, where? That was tongue in cheek - the silvery metal bit to the right of the words Domino's Pizza looks like the head of a black/white dog. What I want to know, is how did they stack the bowls on top of the carrier? Or if they stacked on the floor, how do you lift that heavy stack without spilling or toppling?